I'm linking up with Lisa to say hello. Hello, dreaming of a bathroom that looks like this. 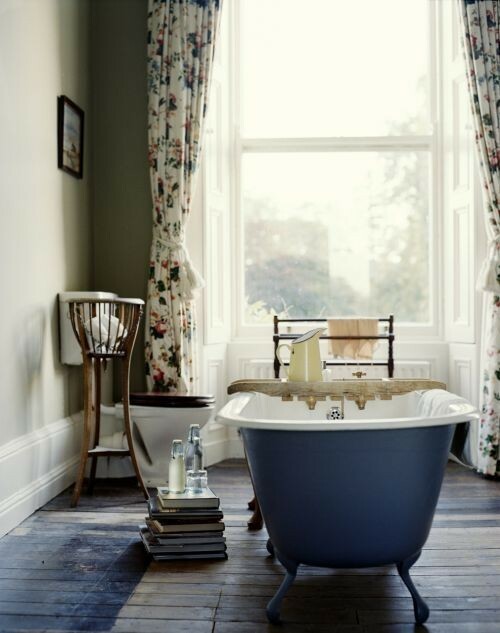 Hardwood floors, sunlight streaming in, piles of books, and a luxurious tub to soak in. Hello, soaking in my own (not so luxurious) bathtub last night. Hello, running 3 miles on the treadmill. A milestone for me. Hello, mini powdered donuts, cute and tasty. I may have eaten quite a few. Hello, being excited for Ingrid Michaelson's newest album, Human Again. It comes out tomorrow! Hello, pizza and The West Wing. Hello, finishing the second season and beginning the third. "Bartlet for is the President!" Hello, sipping tea from a polka dot mug. Hello, being committed to eating breakfast every morning. It's been almost 3 weeks and I'm still going strong. Hello, staying up late to finish a creative writing assignment. I might share it here soon. 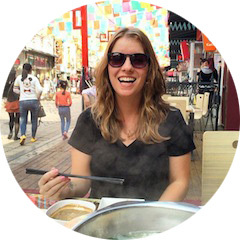 Hello, being excited about the possibility of teaching in China. Hello, cancelling an interview for another teaching possibility that doesn't excite me enough. Hello, making tough decisions on my way to becoming a real life adult. Congratulations on the treadmill run in particular! I haven't gotten there yet but hope to soon. (NY resolution).